An array of colors and styles await you with Fashion Friday this week...just to give you a visual reminder of being that rainbow. Pants? Check. Tops? Check. Shoes? Check. Booties? Check. Jewelry? Check. Add in their top selling sweatshirts (shamrock, anyone?) and you have a very Fashionable Friday to kick off March. Fashion Friday - Taste the Rainbow for 50% Off + Free Shipping! Usee code is RAINBOW17 and it will take 50% off the lowest price, with FREE SHIPPING. The code is valid 3/3 through 3/5. 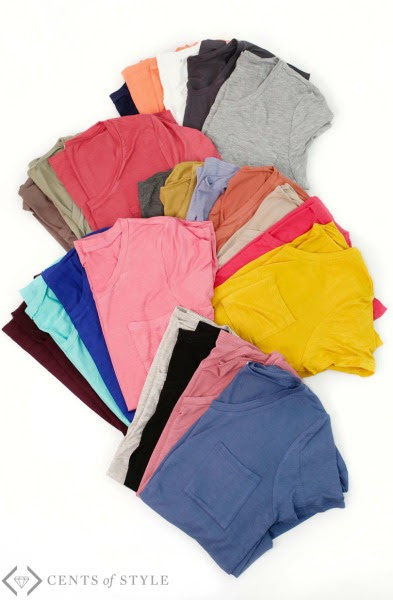 Don't miss this favorite pocket tee for just $9.98! These pointed toe flats in bold colors and with a comfy foam sole will be just $14.98! 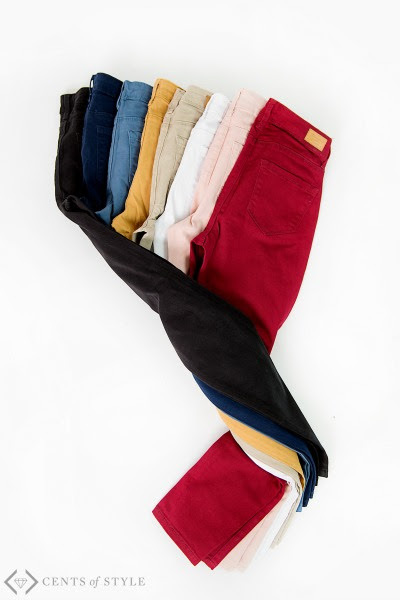 Hello, classic 5 pocket pants (in sizes S-3X) for just $19.98! 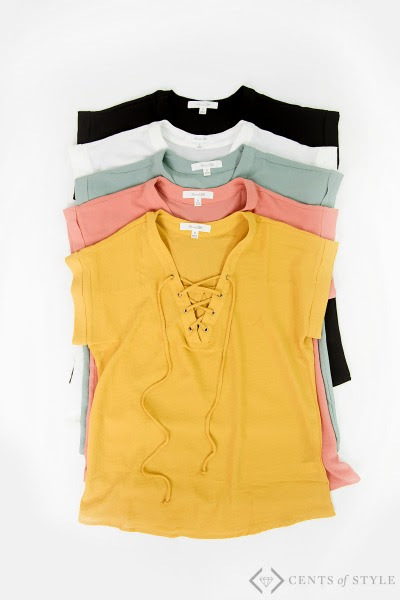 This lace-up crepe top for under $18! And don't miss the newest comfy sweatshirts in styles perfect for St. Patrick's Day & more for just $19.98!